It’s awful, but defenseless older adults are actually getting kicked out of assisted living facilities. It’s called involuntary discharge and basically means they could be evicted with only 30 days written notice. 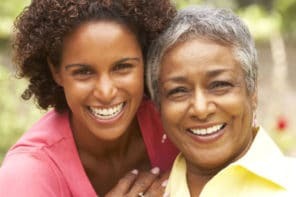 As a family caregiver, it’s important to understand why this could happen and how you to protect your senior from a terrible situation. Each state has regulations that protect assisted living residents from being kicked out for unlawful reasons. The regulations and notice period may vary by state, but in general, there are only a handful of reasons that allow a facility to involuntarily discharge a resident. Needing more health care or personal assistance than the facility is licensed to provide. Endangering the health or safety of other people. Breaking a rule in the resident contract (aka admission agreement). Closing of the facility (going out of business). If your senior has been told to leave, these basics help you make sure the facility isn’t trying to retaliate against complaints or get away with something illegal. Facilities have to provide written notice to the resident and (if known) to a family member or legal representative. Facilities have to document the reasons they are discharging the resident. In most situations, written notice has to be given at least 30 days before the discharge date. Facilities can’t discharge residents who have submitted a timely application for Medicaid and are waiting to hear about their eligibility. Residents have the right to appeal the discharge decision with the state. If your older adult has gotten an involuntary discharge notice, it can always be appealed. Some facilities even have an internal appeals process. If an internal appeal process doesn’t exist or isn’t helpful, you can file an appeal with the state. This could be a confusing process, so you might want to involve the local ombudsman. They work independently to help assisted living residents and makes sure problems with facilities get resolved. It could also help to get a lawyer involved. They can make sure the facility isn’t trying to get around the law. 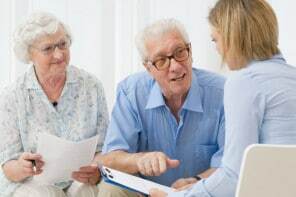 It’s great if your senior has an elder law attorney, but if they can’t afford to hire a lawyer, contact the local Legal Aid organization. Sometimes, a facility is justified in telling a resident that they must leave. This usually happens when someone’s health or safety is at stake. But in other cases, the facility may be trying to kick a resident out for an unlawful reason. To protect your older adult, understand the rules, know that you can appeal the decision, and get additional help if needed. My heart goes out to all families of all Alzheimer patients. I absolutely do not think that combative patients should be housed in facilities that are designed and staffed for care of infirm and elderly patients. My father lives in a memory care unit. He is a very kind and gentle soul. He is 95 with limited mobility and no ability to defend himself. The facility recently admitted a Patient to the unit. Something triggered her and she injured a caregiver and started to go after a resident. The unit is absolutely not equipped to care for her and more importantly ensure the safety of the residents and the staff. Her behavior is really disruptive to the other residents. It takes a really strong person to grow old, watch your friends die and feel your body losing vitality and feeble. We need to make their remaining life as pleasant and pain-free as possible. This does not include putting up with out-of control, physically (or verbally) aggressive residents. I do not know the answer, But she does not belong there. I’m sorry to hear how this person is affecting your father. That definitely shouldn’t be happening and I hope the memory care community will take the appropriate actions to ensure everyone’s safety. It’s very true that when a resident is a danger to themselves or others and the care community doesn’t have the ability to safely handle the situation, then that person must find a different living situation where they and others will be kept safe. If a resident becomes difficult for any multitude of reasons, the facility will either eject them or Medicate those who don’t have family. It’s unfortunately true that in some care communities, they will evict seniors who cause “problems” in their eyes — which could be a variety of things. And overmedication is certainly a problem in some communities as well. My 83 year old parent live in […] at […]. […] has given them a 3 day eviction notice for an attempting to commit suicide. My parents have never been suicidal. And now with a 3 day eviction notice, well, who knows. I just need to know if 3 day eviction is legal. Does anyone know about this? Help please. I’m so sorry this is happening. In most cases, a 30 day written notice is required. 3 days notice doesn’t seem right. A nursing home in Nevada threatened to “kick out” my friend Kelly’s grandfather after he’d become lewd and inappropriate with staff (due to dementia). Kelly was only 19 at the time, living in college dorms in another state – and there was no other family to rely on. She told the nursing home that they could not just kick him onto the street, and when Kelly refused to come pick him up, the home actually called the police and attempted to have the old man arrested!! After that failed (because police refused to arrest him) they tried to force Kelly into signing Power of Attorney forms – which would have made her the responsible deciding party for his health care. Thankfully, she refused, and the nursing home was forced to sort it out by contacting the grandpa’s doctor / hospital. They kept him hospitalized and put him on new meds – but the problem still occurs once in a while. So in our state, it looks like the only way the nursing home remains responsible for taking care of a difficult patient is if the family is out of contact. The doctors and a hospital social worker largely had to take on this issue, and the nursing home was far more receptive and honest with them than they were with Kelly. She was lied to countless times because she didn’t know the ins-and-outs of specific laws, but when the social worker was in charge, things were smoothed over and he was allowed to stay. Basically, don’t sign power of attorney paperwork unless you are 100% able to have the person who needs expert care dumped in your lap! That was a terrible situation for your friend Kelly to be in. And terrible for her grandfather as well. It’s good that the situation was resolved successfully in the end. Every situation is different and laws are different in each state, so it’s best to learn as much as possible and get professional advice before making big decisions. It could also be a good idea to get help from an insider when the situation is complex. Like in your friend’s situation. They often know how to work within the system to get things done more effectively.